Having missed the Farmers’ Market twice in a row, I was unsure what I would prepare this week. Fortunately, while stopping by Ikedas country market to pick up a pie, I happened upon a motherlode of ripe pears grown by Ikedas at their orchard in Auburn, CA. 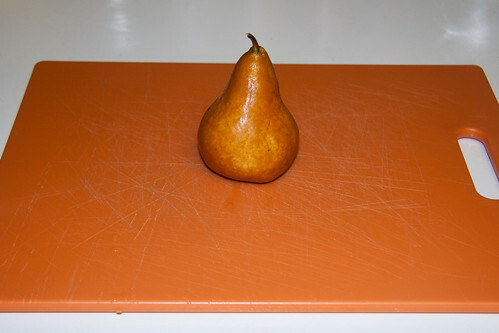 I picked up a large basket of dark Bosc pears, a delicious, slightly crunchy pear varietal. My initial inclination was to wrap the pears in prosciutto—a completely reasonable course of action—but my thoughts soon turned to bleu cheese, leading me to grab a bleu called Roaring 40s. I chose this cheese based on the recommendation that it went well with honey, a flavor that is reflected in the sweetness of the Bosc. 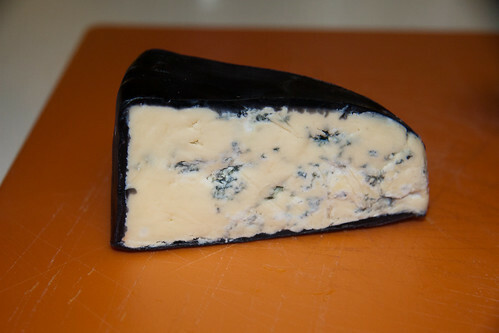 It’s a tangy bleu that comes sealed in wax to preserve its moisture. The tanginess is almost too strong on its own, and I was hopeful that meant it would complement the pears nicely. 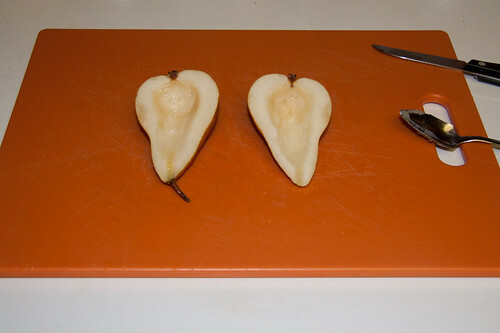 I sliced a pear lengthwise and scooped out the seeds, forming a trough down the middle. 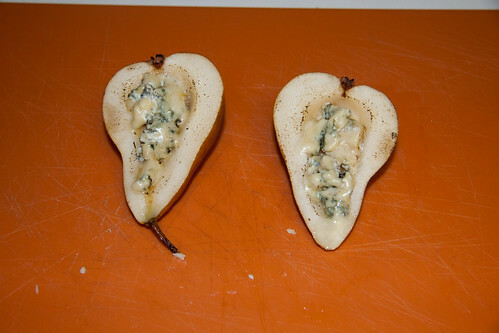 I filled the center of each pear slice with bleu cheese. Finally, in order to melt the cheese and caramelize the pear a bit, I busted out the culinary torch. I went with the torch because it would allow me to quickly heat the tops of the pears without making the rest of them warm and mushy. It’s also a lot of fun to use a torch in the kitchen. In just a few minutes I had a delicious little snack. 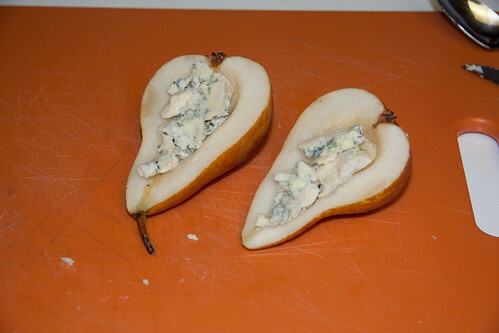 The softness and tang of the cheese contrasted very nicely with the sweetness and crunch of the pears. This could be served as either a dessert or an appetizer, depending on your opinion on where cheese and fruit belong in the course of a meal. I do think the next time I make this I’ll wrap a piece of prosciutto around it. All the photos are here.